Who can beat Mother Nature for divine inspiration?! Floressesnce is a collection of paintings about the magic of flowers. 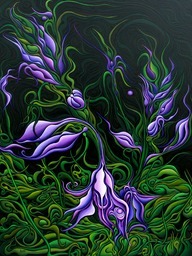 Vegetationage is a collection of paintings about plants in general.